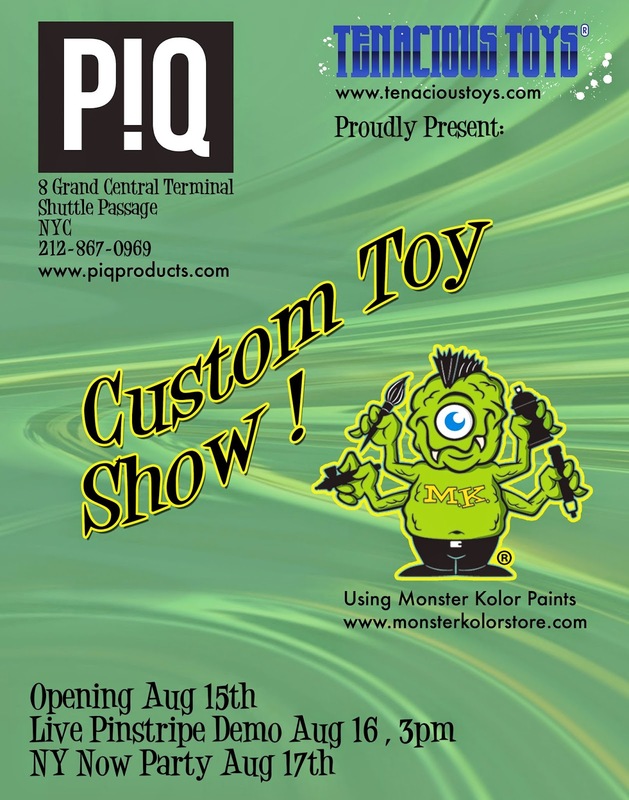 Announcing our August 16th Monster Kolor custom show and pinstriping demo at PIQ inside Grand Central Terminal! 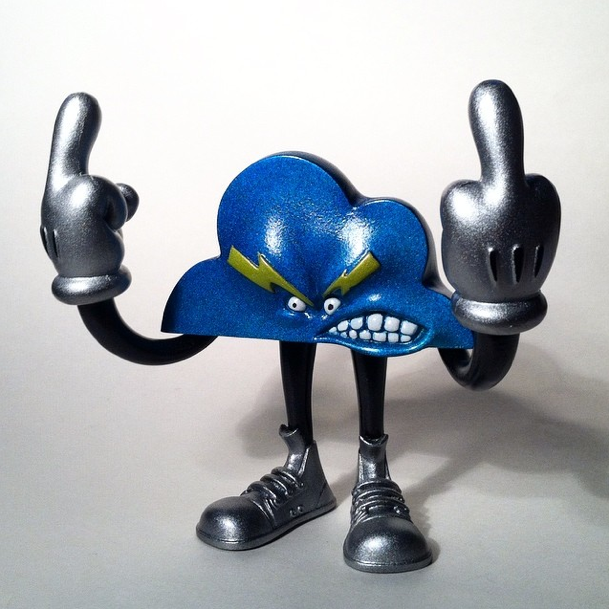 Curated by Matt Walker of Monster Kolor and me, Benny Kline of Tenacious Toys, this show will feature 20 artists who work with various Monster Kolor brand paint products. Expect to see monsters, robots and all manner of freaky, vividly-colored creations! 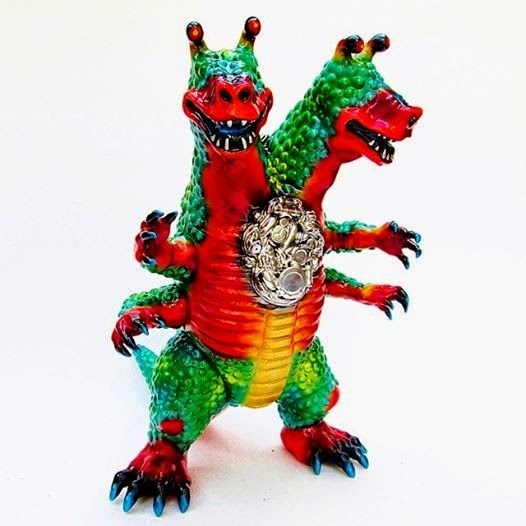 Sure to inspire you to create your own custom toys... I got hooked the very first time I used Monster Kolor paints. Soft opening Aug 15 immediately after I set up the show, but if you can, come August 16th at 3pm to meet Matt Walker and the Monster Kolor artists and get schooled at Matt's 3pm pinstriping demo. If you're in town Aug 17 for the NY NOW trade show, there will be a party in the evening at PIQ as well to kick off the convention! I will be there in the shop all 3 days. Come to the Shuttle Passage in GCT to find PIQ, which is NYC's premier and most conveniently located art toy shop. Many of the participating artists will be in attendance.